Home/Knowledge Base/Web Hosting/How to test your site using the host file? The following will guide you on how to set up the host file, which function is redirecting the address to the IP address you intend to host the website, for testing purposes. 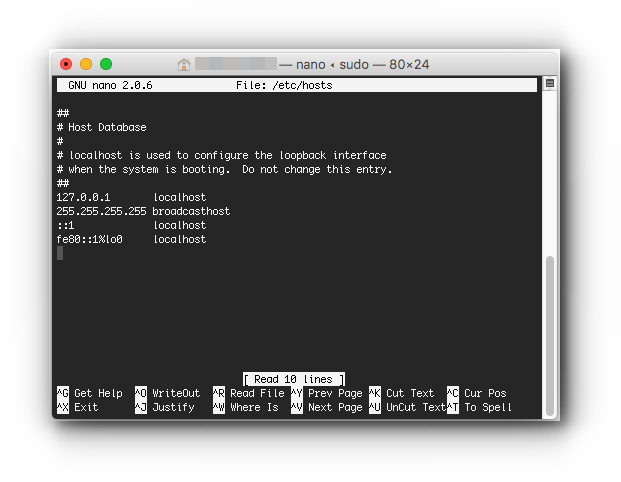 Once the host file is opened up, you can edit the file. In this example we will use 1.1.1.1 as the ip address and www.google.com as the domain. Make sure to save the changes after you are done, now you can test the site on your browser. 1. Launch Terminal, found in /Applications/Utilities/ or launched through Spotlight. 3. 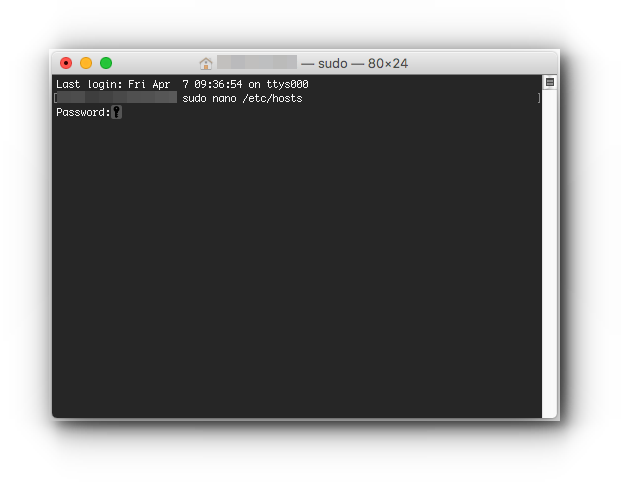 Enter the administrator password when requested, you will not see it typed on screen as usual with the command line. 4. 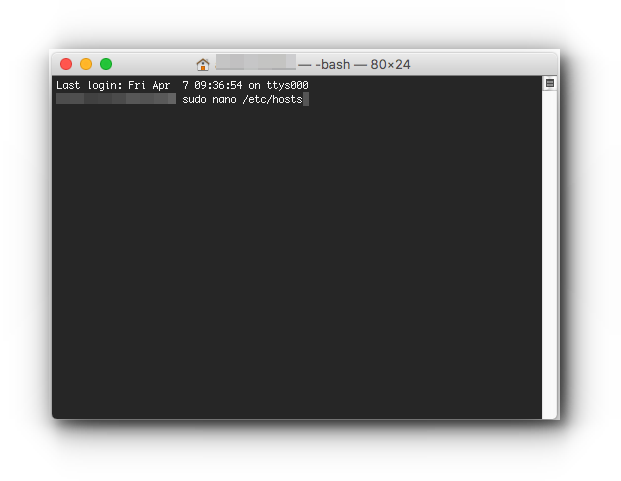 Once the host file is loaded within nano, use the arrow keys to navigate to the bottom of the host file to make your modifications. 5. When finished, press Control+O followed by ENTER/RETURN to save changes to /etc/hosts, then press Control+X to exit out of nano. 6. Quit out of Terminal when finished. Note: For the website to work with the actual IP address again, you need to undo the changes you have done in the /etc/hosts.